At church today I was thinking: It is nice to have Confession settled for the time being. 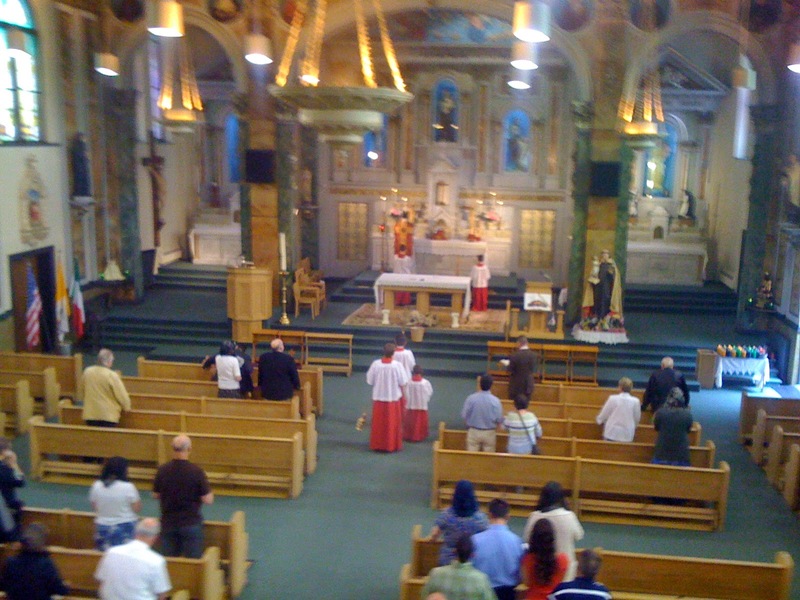 When I was in Chicago I went to confession. It was thanks to my friend Lizzie. Lizzie is not exactly a churchgoer but she is responsible for getting me to confession twice in recent memory. It is because she has total situational awareness, as Howard puts it. Lizzie knows everything that is going on everywhere at any moment. 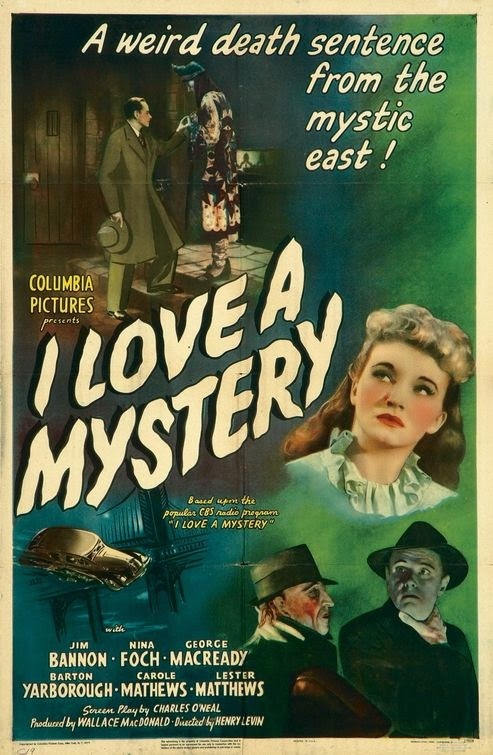 And twice when we have been to Mass together she has noticed there are confessions going on. She whispers to me: "They're doing confessions." "They've got confessions going on." I looked past the end of our pew and sure enough, there is this booth with the light on. Did the light mean the box was open, or that it was in use? That is always a puzzle when you are in a new place. Remember when I opened the door on that girl at St. Benedict's? Things like that can happen. I waited and waited through the Kyrie and the Gloria and no one went in or out. So finally I took the plunge and went in. 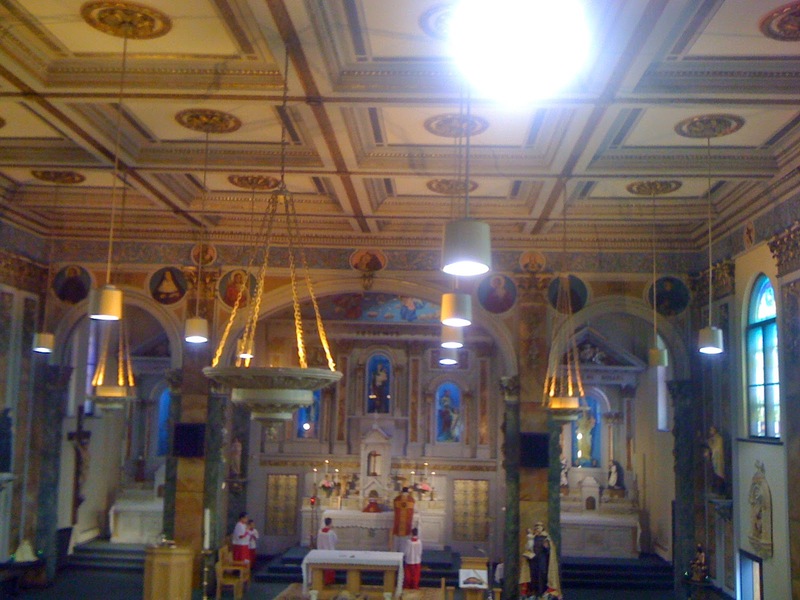 It was strange to be going to Confession while Mass was in progress. I went when the sermon was just starting, or maybe it was during one of the readings. I know, shows how much I was paying attention. But anyway I dumped my sins on this priest and he was exceedingly nice. He told me to say a few prayers for my penance and he gave me a holy card. The card came out of the box like your receipt at an ATM. That has never happened to me before! Then something happened that has stuck in my mind. He said to keep the card on me, which, I have been keeping it on my purse. And he said, "Say a prayer for our country." I said I would. He said, "We're in deep trouble. And it's going to get worse." It was dramatic for a priest, in a confessional, to make such a pronouncement. I said I would pray. This priest, he could have meant any one of a million things, you know? I will tell you the thing about this country that worries me the most and be warned, this may be divisive. I worry about the growing number of people walking around like zombies with their cell phones. They are glued to these phones! They walk into traffic like cattle. I think anything else we as a nation disagree about can be discussed and settled. But what do we do about these cell phone zombies? How do we fix this? I mean you are not dealing with thinking beings. I guess I know now how I deal with these cell phone zombies. It is a classic Laurel and Hardy, "County Hospital." Laurel and Hardy were Leonard Pennario's favorite comedy team and they are mine too. My brother George is on a Laurel and Hardy kick and I followed him onto it although George has gone farther than I have in that he is reading biographies of Laurel and Hardy and I have not gotten to that yet. Long story short, today we were watching "County Hospital." What happens right at the beginning after Laurel looks at the sign asking for quiet. He gives the Quiet sign this befuddled look and then you can guess what happens... 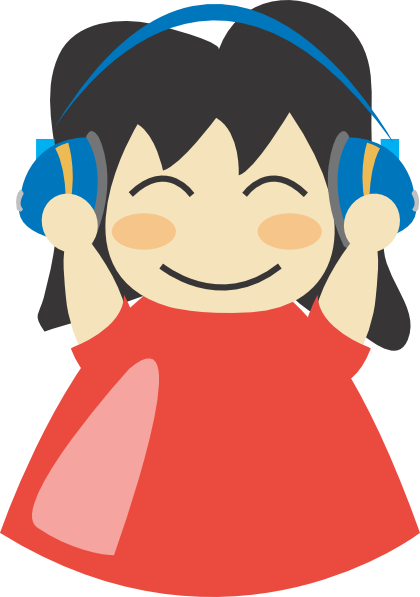 Noise! Then the look on Hardy's face when you see him in the hospital room with his foot up.And how he reacts when Stan has come to visit. Then the business with the doctor hanging out the window. "County Hospital." Just the title is hilarious. It is a two-reel, as I hear from George. Two reels mean 20 minutes. Yesterday, immense accomplishment. 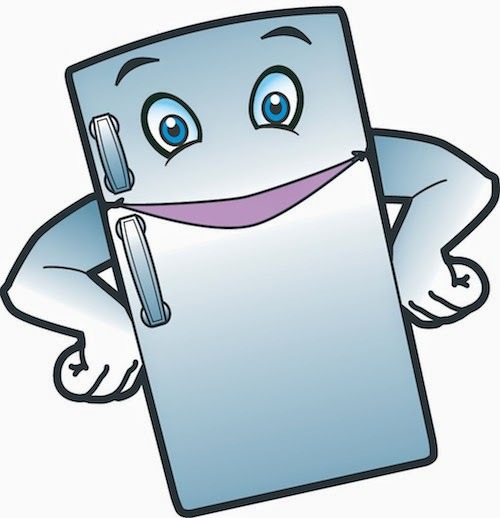 I cleaned my fridge! Well, not all of it. But I cleaned the shelves. I will spare you the gory details but there had been spills and everything and it took a lot of Soft Scrub and Totally Awesome cleansers and a lot of scrubbing with this Brawny metal scrubber. It feels amazing to have done this. And it would not have gotten done were it not for a number of factors. One was that I had just been to the chiro who had adjusted me, and so it would not have been wise to do Zumba or even Pilates. Another was that the former BPO music director Julius Rudel died yesterday. I had to write about him for The Buffalo News. And it made me kind of sad, losing Rudel. I had liked him. Leonard Pennario liked him too, I remember. They had performed together at some point. Anyway, I was feeling bad about Rudel and also I had that sort of hangover I get after writing an obituary. It's intense work and you are having to speak for people and talk with people who are saddened. So I did not want to go right home. Instead I detoured to Tops. At Tops I scored all these great deals on some upscale stuff I have become addicted to: Greek yogurt, almond milk, fancy salsa. When I got home I had to put it in the fridge. And I saw how gross the fridge looked, unworthy of the nice food I had bought. I mean, I have sort of come to terms with that while I am getting this book done, my life will be kind of a mess otherwise, but this was ridiculous. I thought, I will just scrub off the top left shelf. But then one thing led to another. An hour and a half later there I am with this clean fridge. You can see the purchases reflected in the shelves! That is how scrubbed it is. It is like new! Now I will go forth and sin no more. No more spills. No more grossness. I will embrace, ahem, Clean Eating. That is a phrase that cracks me up because it sounds as if you have reformed from eating food that has, say, been kicking around the corners of public restrooms. But now I would say it applies. What a beautiful night! The air smells so smoky. It is the longest day of the year. My sister Katie and my niece Rosie were over and so was my brother George and we all sat on the back porch tasting wine and eating cheese and crackers and fried rice. Then later George and I went out and saw this new bar that just opened in Black Rock. And earlier I worked and worked on the book. And before that I went to Zumba. I was thinking about the longest day of the year which is today. When George and I went to the bar in Black Rock it was 9:30 but still light. Today was traditionally the Feast of St. John the Baptist, or Johannestag. It is famous from Wagner's "Die Meistersinger" where you hear them in church singing a chorale in honor of the feast day. 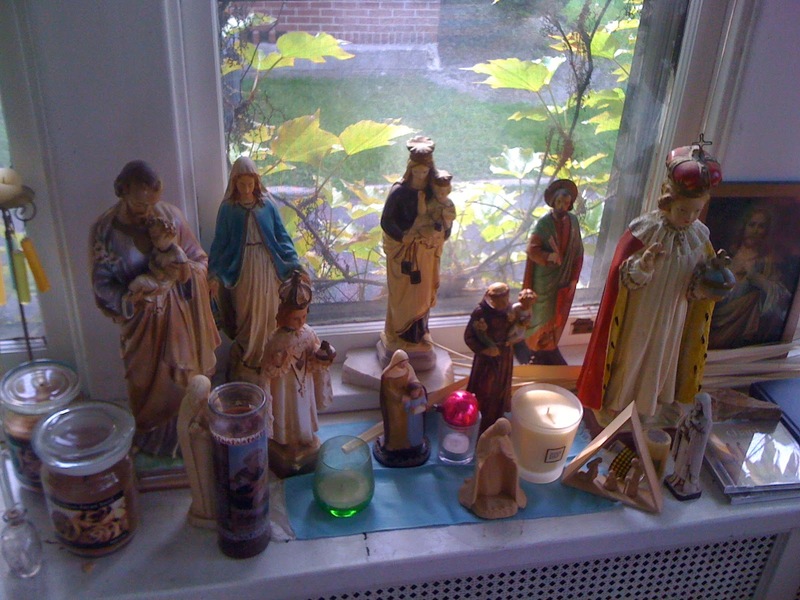 Of course if you look at the Catholic calendar now, the feast of St. John is a few days away. Now it is June 24. Probably somebody changed it. They changed a lot of saints' days after Vatican II. Talk about a boneheaded thing to do, but they did it. Anyway I always think of June 21 as Johannestag. 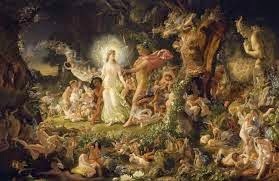 It is also Midsummer Night as in Shakespeare's "A Midsummer Night's Dream." Just as in "Die Meistersinger," all this insane drama takes place in this one loopy day. I was thinking also of Mozart's "The Marriage of Figaro" but now that I think about it, I know the action in that opera also takes place all in a single day, but I am not sure it is this particular day. In "Die Meistersinger," it is June 21. You can hear the chorale in honor of Johannestag starting at about 8:40. And now the days start getting shorter. For one brief shining moment the house is covered with roses. It is the most beautiful house on the street! 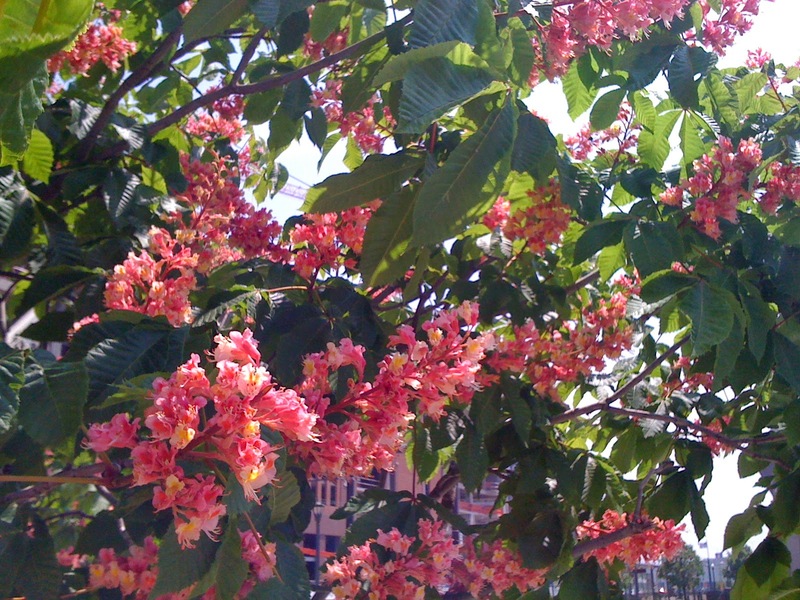 Everything has burst into bloom at the same time. 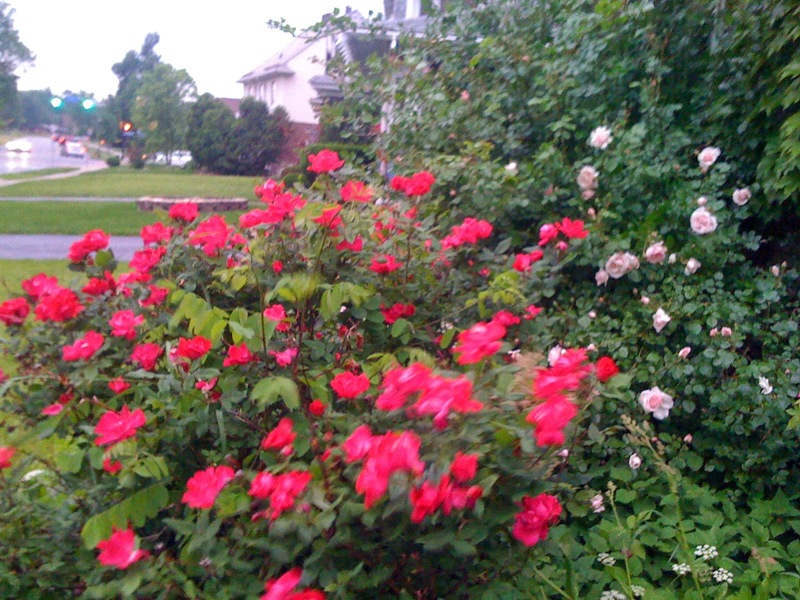 Roses are blooming too at Goldman Motors where Howard keeps his cars. 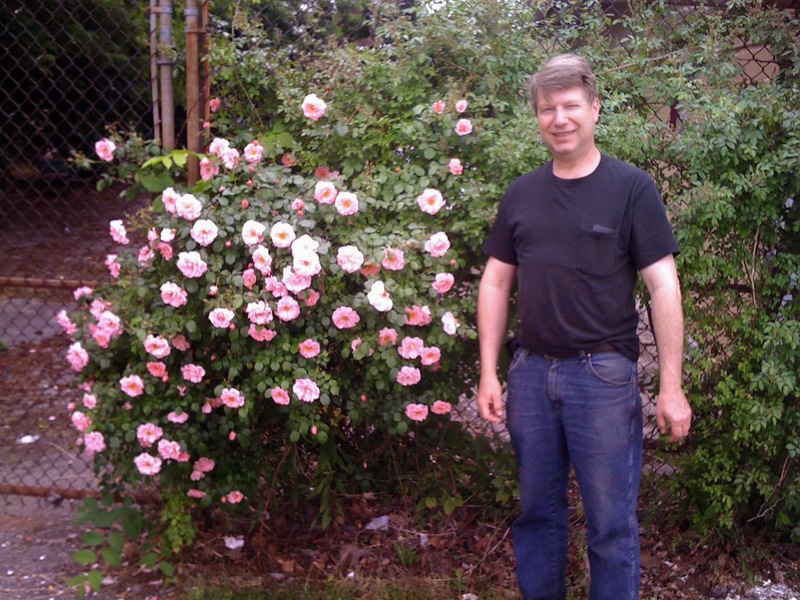 Here is Howard who tends the roses. There is a song in German, "Noch sind die Tage der Rosen," or "Now are the days of the roses." Here it is sung by the great tenor Richard Tauber who rates up there with Leonard Pennario as one of my favorite artists. It is a 1928 recording so you hear all those pops and hisses which make it sound all the more nostalgic. My life changed today. I got a new cell phone. This new cell phone lets me listen to music. The old one was too outdated for that. Howard arranged for these new cell phones and I can hook up headphones to it and drown out the world. It is great! I am not going for anything special. I just need something for when I am working. When I am not doing something else I am talking about on this Web log what I am doing is sitting working trying to pull my book together. And I have to admit, I get desperate sometimes. My neighbors are just loud. The people on one side blast hip-hop and whatever and then on the other side is this whiny radio that carries down the block. I downloaded the Spotify app. It demanded all this stuff I was uncomfortable with but what the heck, the Good Ship Privacy sailed a long time ago, you know? And I would hand over my first-born child at this point. Take him, Spotify, he's yours. First thing I did when I was signed in was tap into "Intense Studying." This was a playlist someone had put together and it was some light Chopin, some light Tchaikovsky piano music, some Philip Glass (Pennario would have kittens), movie music like from "Lord of the Rings," some New Age stuff, whatever. I didn't care what it was. I don't need anything great. Heck, I don't want anything great. I can't work to Pennario playing. It distracts me too much. I can't work to Schubert's "Great" C Major Symphony, or to Mozart piano concertos, or whatever. I want a kind of Muzak. I hooked up my headphones and figured out the volume switch on my new phone. The thing flashed up some kind of warning about, "Should we go over the recommended volume? That can be dangerous because..."
YES go over the recommended volume. And when they hit me with obnoxious commercials who cares. Anyway I got a lot of work done and I can tell things will be different from now on. Thank you, new cell phone!! I never travel. I have hardly traveled since, in that freak occurrence, I went to see Leonard Pennario and stayed for three months. 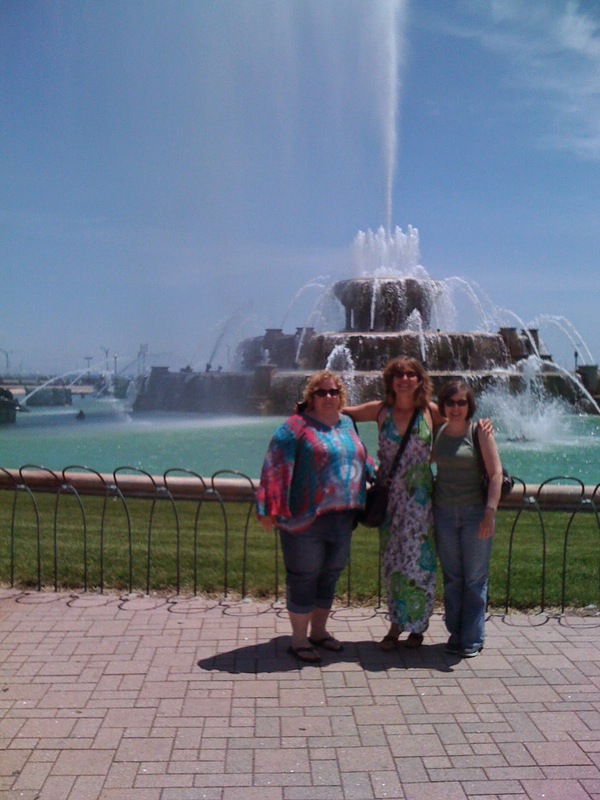 However last weekend I went with three friends to Chicago. We planned this trip a few months ago and all of a sudden here it was. 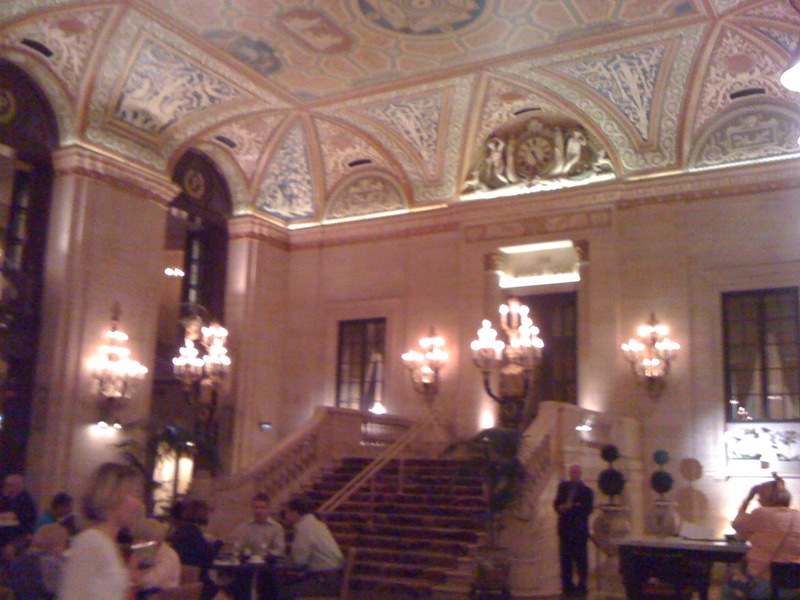 That is our hotel, the Palmer House, up above! We got a deal online. It wasn't much, as you can see, but it was home. Our friend the jazz pianist Mike Jones was playing at a cool old place called the Green Mill and we caught his act there on Saturday night. 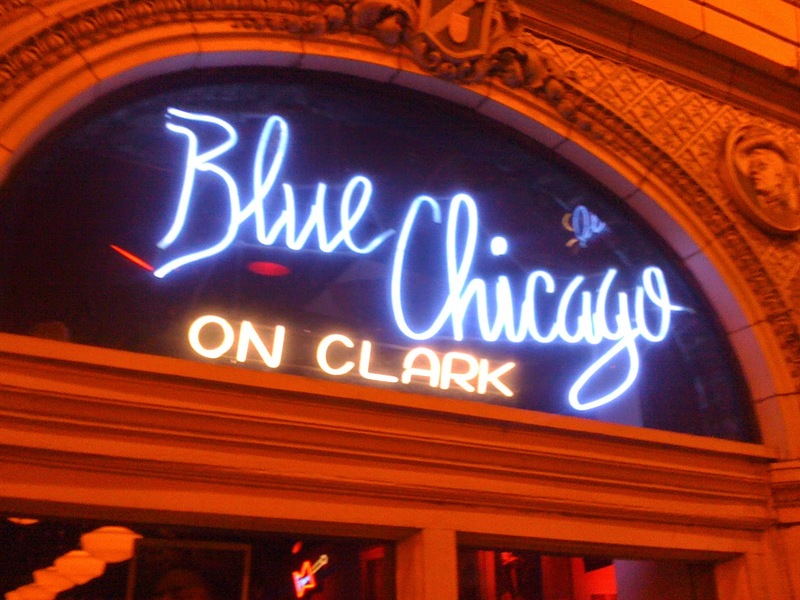 On Friday night we hit a great down-home blues joint called Blue Chicago. "Where do ya think you're going with that suitcase in your hand?" And it ended up that you better put that suitcase down because ain't nothing in it belongs to you. Ha ha! We got a great dose of blues because it turned out it was the weekend of the Chicago Blues Festival. I really enjoyed hearing all this old stuff I used to love by Muddy Waters and Little Walter and Elmore James. Here we are outside the festival grounds by the fountain. That is me in the middle. 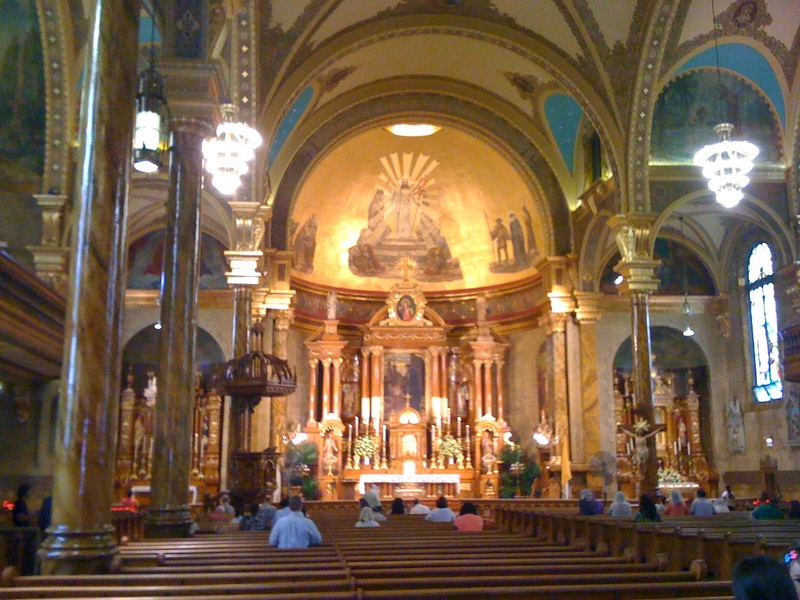 We went to Solemn High Mass at St. John Cantius. Here is my view from the pew. I whispered to Lizzie: "We have a problem. I have to move to Chicago because I never want to go to Mass anywhere else from now on." We got back late Sunday night and I was a zombie. I was hyper and couldn't sleep. But as my friend Jane says that is a sign of a well-spent weekend! My little niece and nephew and I, and their dad, have made it a habit to go to Fantasy Island most weeks at one time or another. And we found ourselves there in the rain. The kids were troopers, I will say that. We were huddled under the shelter and then they asked if I would go on the Tilt-A-Whirl with them. The Tilt-A-Whirl was a kind of half refuge in the storm. There are sort of half-roofs over the cars. When we got on the ride I sat down in a puddle. I had to remind myself I had my bathing suit on under my hippie dress so it wasn't the end of the world if it got wet, you know? But still, a strange feeling. Then the ride gets going. And I have to say this, you do kind of forget the rain! You just start watching the trees whirling around and watching the other passengers spinning this way and that and you forget that you are sitting there in this puddle.And the kids were laughing and laughing. It made it worth it. As I said to my brother George, all three of us were on board. One person complaining would have wrecked it. But we were all with it. I do get a kick out of the Tilt-A-Whirl. That is a picture of it up above! But not our particular Til-A-Whirl. 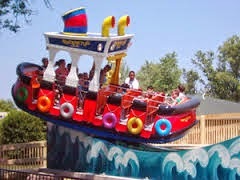 Ours is a vintage ride like that one but it was at Fantasy Island plus it was in the rain. After four rides on the Tilt-A-Whirl we rode the Rockin' Tug. While we were on the Rockin' Tug the temperature fell and we got cold. It was very easy to imagine the tugboat being tossed on the waves in a storm, seeing that we were actually in a storm! It is edifying to read the Wikipedia page on the Tilt-A-Whirl. It was invented in 1926 when Leonard Pennario was what, 2? In Europe it is called the Waltzer. 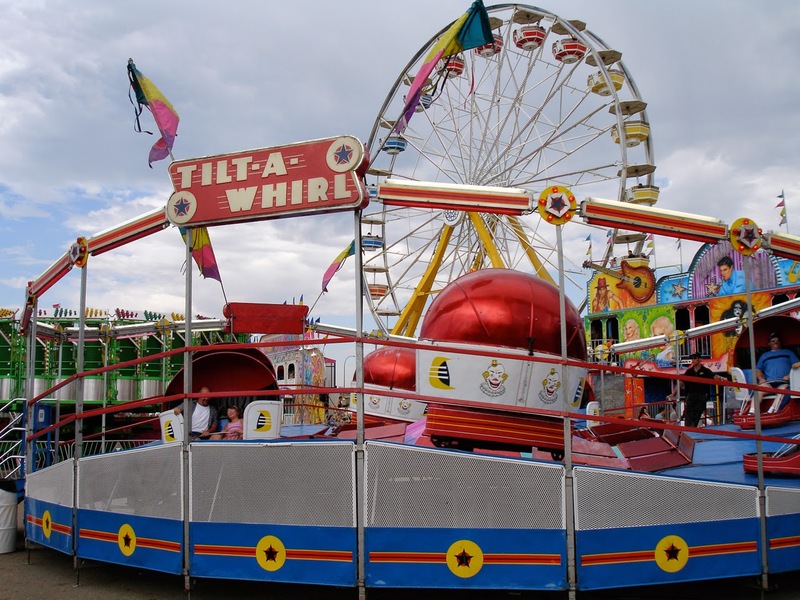 A new Tilt-A-Whirl, should you wish to install one in your back yard, will run you $300,000. You are also told: "For the band formerly known as Tilt-A-Whirl, see Arcwelder." Why would you change your band's name from Tilt-A-Whirl? 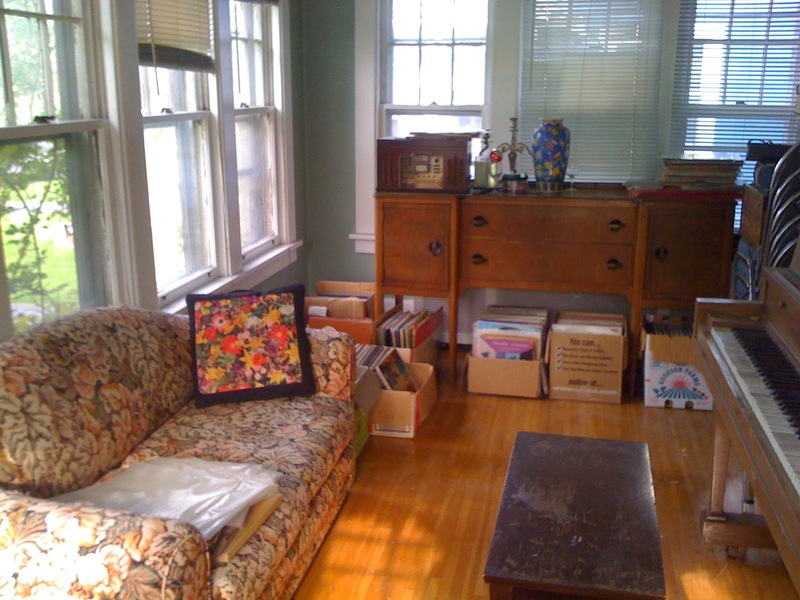 Pursuant to the purchase of my new chair, and weeding out my vinyl, I am reluctant to buy new records. I have so many and no time in which to listen to them. 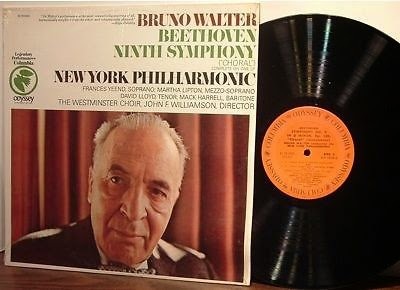 However the other day I could not resist a Beethoven Ninth. Bruno Walter is conducting it and the baritone is Mack Harrell. Mack Harrell is the father of the cellist Lynn Harrell who has been so nice to me about the Pennario book. This Beethoven Ninth must be heard! It is amazing the people who are forgotten who do not deserve to be forgotten and Mack Harrell is one. I bet he is a fantastic singer. Back to my vinyl weeding. It is amazing what a little clean-up can do. I love going out to my sun room and not having it so messy. I love just sitting there and admiring it. And I have to say when I am out looking at records it is hard to resist some of them. I tried to declare a moratorium on them, aside from Pennario records, of course, but they do not turn up as often as you would think, considering how popular he was. Howard says, there is not much that can beat just having space. He might be right. I will always have room for records! Since I have started tidying up my house I have been trying not to bring too many things in. Cookbooks specifically. I have so many! Even if I do use them, there are just so many. There was a cookbook the other day at Goodwill that had to be bought! It was the Better Homes and Gardens Slow Cooker Cookbook. I got it out from the library once before and remembered it to be worthwhile. It was less loony than a lot of these slow cooker cookbooks that always ask you to dirty 12 skillets sauteing this and that and finally you deglaze the pots and then put it all into the Crock Pot where it cooks for two hours. Fie on those recipes. Fie! This book seems better. There are a lot of recipes that do not require any sauteing. Which, fine, I like to saute, and I understand the science behind it, but the people who routinely insist on that in Crock Pot recipes do not understand the Crock Pot. There is an art to using the Crock Pot. I am not saying you can just chuck everything into it. But you have to come up with recipes that capitalize on its strengths, not things you could do more easily on the stove. You have to be a Crock Pot virtuoso! The way Pennario was to the piano. Already I made the Ratatouille Soup with Beans. It is kind of a white bean soup and probably I could have come up with it on my own. But it turned out great and I appreciate the recipe. Perhaps I will be like "Julie and Julia." 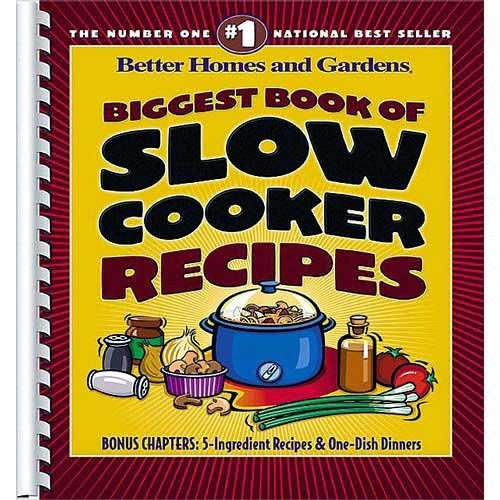 But instead of cooking my way through Julia Child's "The Art of French Cooking" I will cook my way through "Better Homes and Gardens Biggest Book of Slow Cooker Recipes." A sure recipe for a best seller! Yesterday I hit the Pilates class at the downtown L.A. Fitness where the teacher hands out memoranda. The teacher is named Colleen and she looks like a dancer. She has that kind of lean and perfect appearance. She also has you using the Body Bar as if it were a ballet barre. You hold on to it and do plies. Yesterday we had to do this plies while sweeping our arms over our heads in the manner of ballet dancers. I was like Pennario's friend Tamara Toumanova, the dancer in the picture up above! Yeah right, as Leonard would say. But anyway, at the end of class, the teacher reads a meditation, usually something, you know, liberating or empowering. She even gives you a piece of paper with that day's quote written on it. This class's memorandum was something about how a lot of people go through life doing what they think they should do and doing what people asked them to do, etc. It wound up: "What if you went through life doing what you were born to do?" And you leave pondering that. That closing question leaves me in a kind of quandary because me, I happen to have been born to dance. 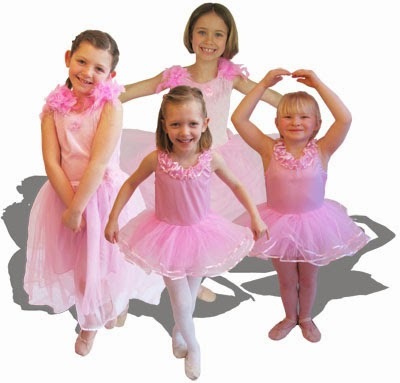 I am like one of those starstruck ballerina tutu girls. I like to dream I am a dancer. And I actually work on my form. Doing every plie I tried to sweep my hand over my head with my fingers just right so it looked nice. 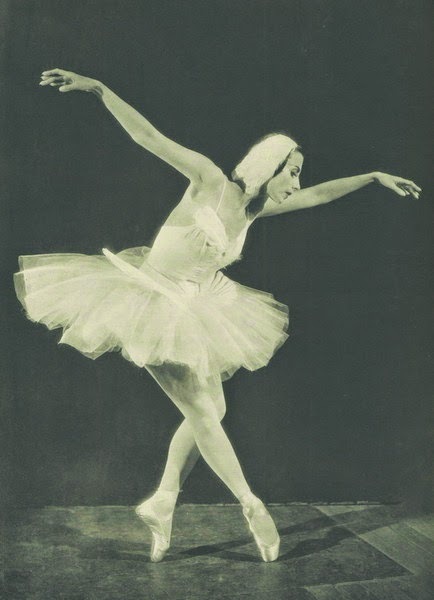 I have in common with Pennario that I, ahem, happen to know some eminent ballet dancers too, including my friend Gary Marino and also the great Joseph Cipolla who was one of the leading dancers in England's Royal Ballet. Once at UB I got to see Joe dance and he was amazing and I remember noticing how even little things, just the way he held his hand or moved one finger, would make a big difference. Hence I emulate that. It is funny, all the things you carry around in your head, you know? All these memories and memoranda. Last night was Margarita Night! It is amazing, the pleasure you get from one margarita. Here is my secret recipe. You shake it up in a cocktail shaker so it is cold and then strain it into a glass and add new ice cubes. There is no sugar in my Margarita! A margarita recipe I found online called for powdered sugar. I had never heard of that! I like that tart taste. And the Triple Sec gives you some sweetness. But I liked this recipe and based my recipe on it because it is for idiots. It has tablespoons, not ounces. Although now that I sanely think about it, 2 tablespoons must be an ounce, right? Because it is 1/8 cup and 1/4 cup is 4 ounces. Cups, ounces, these are measurements I love. Piously I enjoyed one margarita with dinner. After that I went to bed and slept like a teen-ager and was up rested and early (5:30 a.m.) to continue my Pennario book push. My sister Margie was visiting over the weekend and, nothing necessarily to do with her name, but she is a margarita person. We spent some quality time at Premier Liquor scouting ingredients. Margie says there is nowhere in New Jersey where she lives that can rival Premier. I do plan at some point to visit my sister in New Jersey where we will lounge poolside and enjoy margaritas. That is how I will celebrate when my book is wrapped up. I have a feeling this is going to be a Margarita summer! I have been going again to Zumba at the downtown gym. It fits in well with my schedule so I can knock off a class without too much time taken away from my, ahem, busy schedule. Plus, there is this great new teacher. She never stops the class! The old teacher had good moves but she always used to stop the class. So there I am the other day at Zumba at the downtown gym. It's a small class because this gym is sort of empty now. And three of the other Zumba-ers are guys. Two of the guys I know, and we say hi to each other and everything, and the third guy I don't know. And after class the third guy comes up to me. "Is your name Mary?" he asks. And he says: "We went to a movie together once." I looked at him. No memory. "We did?" I said. And he said yes, that it was a long time ago, the movie was about Christopher Columbus, and that I criticized it as being inaccurate and unfair to Columbus. I had to say that had the ring of truth. That is me, like Leonard Pennario, criticizing movies and defending Christopher Columbus and slinging opinions around. "Oh, I kind of remember now," I said. But I was fibbing. I did not remember. "Where did we know each other from?" I asked. And he said I was working at American Color. That killed me. I temped at American Color for about a month. That was where they printed the color comics. 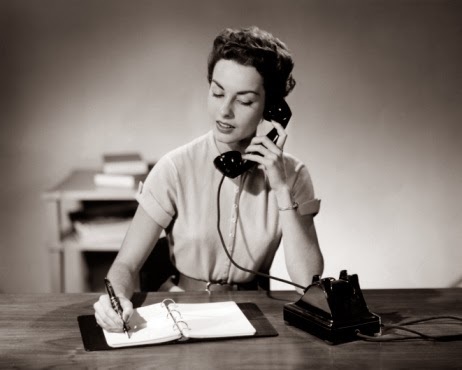 I was a receptionist, or I sat in a warehouse and answered a phone, something like that. Here is a snapshot this guy had held onto of me on the job. The American Color job was not as dramatic as my brief but glorious temp stint in the vaults of Manufacturers and Traders Trust. But it was one of my better temp jobs. I thought of that just last week when I went down Military Road. Now here was someone who remembered me from there! I love that. And it did not even take Facebook! Usually these people turn up on Facebook. So now this guy, John, and I are friends. Because we once went to the movies together. I imagine the movie was this one: "1492." It came out in 1992 which I think was when I was temping at American Color. Hmm, this looks pretty good! I would have to see it again to see what it was that I criticized about it. I am sure I had my reasons! Remember Monty Python and "The Comfy Chair"? I asked that of Pennario once and he was not amused. Pennario did not care for Monty Python. But I remember the Comfy Chair very fondly. My dad and I used to laugh about it. Anyway, I purchased a comfy chair at a garage sale a week ago. Never use the word "bought" when you can use the word "purchased," you know? I, ahem, purchased this chair with the help of my friend Lizzie. She spotted it and then she talked it down from $70 to $25 and then she schlepped it to my house in her gigantic SUV and then she helped me move it in. Everyone should have a friend like Lizzie but alas few people do. She can solve every problem you have in life. But let me get to the point. 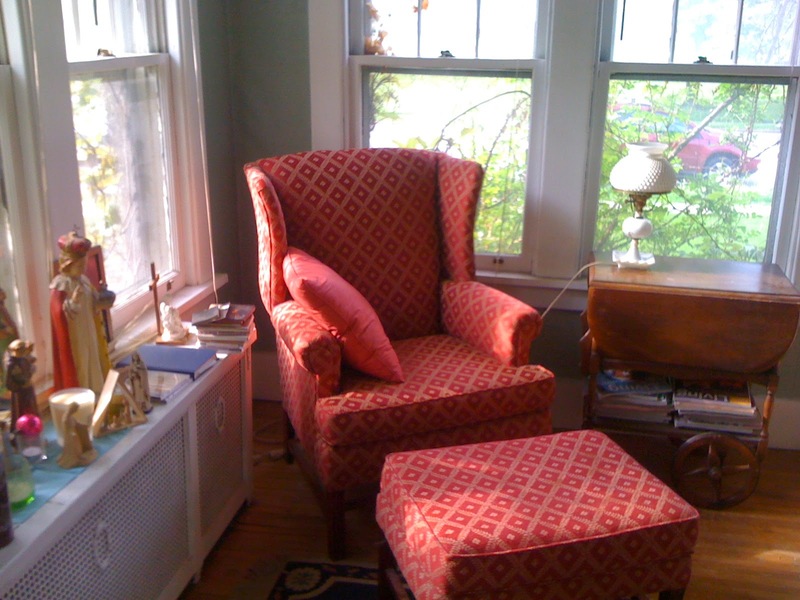 My new chair became the focus of a story by my colleague Susan Martin in Sunday's Buffalo News! I am nameless in the story but the picture of the chair ran big and now that it has been published I do not think anyone would mind if I bragged on my Web log that it is my chair. Everything that is in the story was true. I could not move the chair into the chaotic sun room and so I cleaned the chaotic sun room. I weeded out the record collection which was multiplying like the bishop's weed. There is a pile of really nice records earmarked now for my brother George. And there is a box devoted just to Leonard Pennario records I have purchased on eBay and wherever. And there is a box of junk records headed to Goodwill. I did all this in addition to getting in four hours a day on the book project. Now you can move and breathe now in the sun room. You can open windows. You can sit in the comfy chair! Here is the chair that touched off this revolution. And here is the restroom, I mean the rest of the room. Ha, ha! With anyone else that would be this huge mess, with the cardboard boxes and everything. And on the couch is a pile of plastic record sleeves I meant to throw out. But anyway, for me this is serious progress. Howard admired the chair because who could not. ... or simply think about life. I am laughing looking at The News' Web site. In the paper the picture is in black and white and it is cropped. But in the online edition it is in color and you can see the Infant of Prague as well as a little more of my religious paraphernalia. That is too funny. There are no secrets here in Buffalo! Anyway. Cheers to my chair. It was a wonderful and productive purchase!